Its time for this week Teamblogs Challenge in partnership with Masblogs,Each week we give each other a writing Challenge ,my challenge for him was "What thing or Activity he most always wanted to do" and the challenge he gave me was "The happiest day of my Blogging life"
Well there have been a few extra happy days we have shared with Speedy,we had his 1st Birthday,then his 1st Gotcha Day,then his 1st Blogaversary.Then there was the Pirate party to celebrate his recovery from his surgery to remove his eye that was a special day indeed.We also had the day we found out that we had been chosen as a finalist for best Other Pet Blog in the Nose to Nose awards at Blogpaws that was a fantastic day too but nothing Tops the day we found out we had won that award,when we got the email from Janet at Cat on My Head that was a day for HAPPY HOPPY BUNNY DANCING,and when you think that there where 3 other great blogs up for that award we never thought for one moment we would be given that honour.....still have to pinch our selves to make sure its real and to this day that award is for all of us who were finalist for that award not just us and its for you who follow us,our friends every single one of you! Here's a sneaky peek at this mornings walk! And yesterday in the garden! Happy days for sure!!!|! That award is just beautiful too! And well deserving! Once again, paws up and congratulations on your Nose-to-Nose award! You have had some very much WONDERFUL thingys to celebrate. WAY to GO buddy. Something to be proud of for sure and treasured memories too. Nice one and well deserved. Have a fabulous Friday. I wouldn't be surprised that EVERYONE from BlogPaws fell in love with Speedy. Yep, I'd say winning one of those would make my day too! Wenwere sure thrilled for that happy win of yours too! dood...yur nose two nose IZ way awesum....anda happee fry day two ewe...hope yur week oh end iz a fun one N if ya see any BURDS on yur walk...dizaprove em for uz !! Speed boat! Well son, I am so proud of you and look at you with your award, so proud are YOU! Speedy, I adore you! 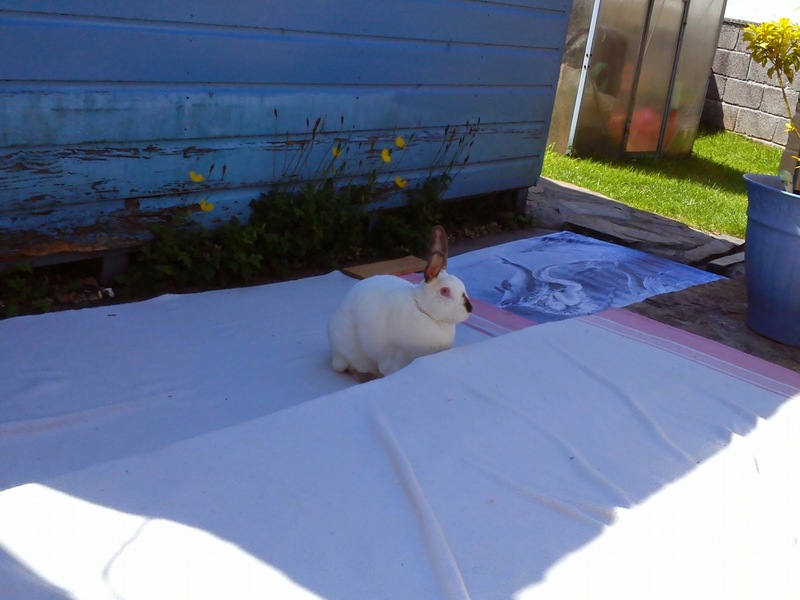 You look very happy in your garden and mummy takes such good care of you. Wishing you a super duper weekend! Congrats again on your Nose-to-Nose award! Wow, that is one pawsome award!!! And those are some happy days! We are glad he recovered from his eye surgery, we didn't know about that. Hey Speedy, I have a question for you! I'm working on the big parade for Safety Week and One Eyed, Da Sus will be riding on a pirate float. This goes along with Susie and Sidebite's recent pirate series and you were included in one of those. She wondered if you'd like to ride on the pirate float with her. Please leave a comment for me and let me know if you'd like for me to use the pix of you from their pirate story post to enter you in the parade. YIPPY!!! Yes, happy happy happy days!!!! Well deserved indeed Speedy!!! That would definitely be a huge thrill and yours was very well-deserved! It's great that there were a lot of wonderful moments. 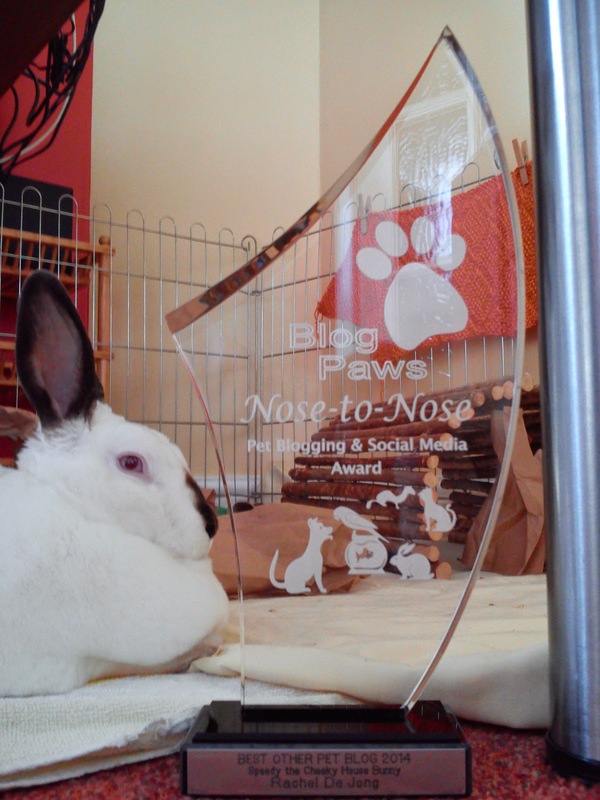 I will always remember the day, the blog paws award came over the big pond to you. YAY! Well done on winning that Nose to Nose Award, Speedy! You certainly deserved it. 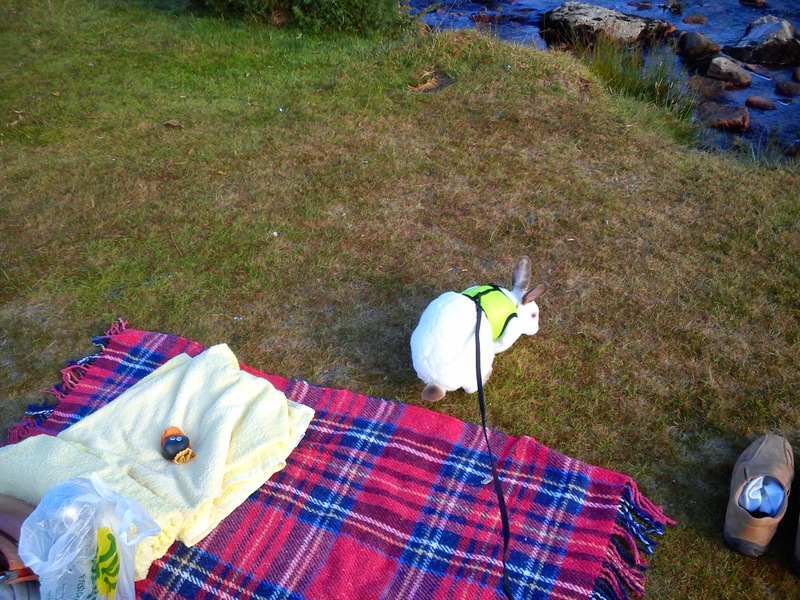 Sounds like you have had a bunch of good stuff going on in your little rabbit life Speedy. Well done winning that nose to nose award. That was fantastic. You all enjoy your Saturday. Speedy ya iz lookin fine on yer lead n yer carpettin in da garden iz pawsum! Mes LOVES happy and joyful days and yous has sure had a few dear Speey! You deserve it so much!